This story threatens to destroy the remaining sliver of respect I have for the Democratic Party. When I ran for Congress, there was nobody’s support I was happier to have than Raul Grijalva’s. I remember meeting with leaders of the Tohono O’dham Nation and asking them, kind of half-jokingly, if I just voted the same way as Grijalva would we be good. The immediate response: Yes. I’ve always considered Raul Grijalva and Keith Ellison to be in a class by themselves. The two I could always count on to do the right thing. … or was he going to check on his investment; Raul’s family owns stock in the very company building this pipeline, Enbridge Energy Partners! Am I writing Grijalva off? No, not just yet. But we need to understand what the hell is going on here. I don’t always agree with David Morales, the proprietor of Three Sonorans, but I often do, and I respect him. He has the guts to say what needs to be said and he can think outside the box. I doubt he’s making up the part about the Grijalva family owning stock in Enbridge. But I’m hoping, perhaps naively, that they had no idea they owned it. Many people find investing either over their heads or boring, so they delegate to a financial planner type. For the time being, then, it’s possible Three Sonorans doesn’t have this one entirely correct. 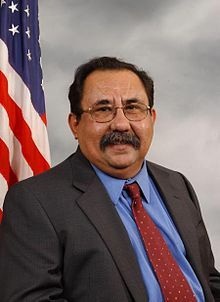 In a best case scenario, Grijalva was sloppy, but still an altogether decent guy in my opinion. Yes, his family owned stock in Enbridge, but he may had no idea what was in his stock portfolio, because he just doesn’t pay attention to that part of his life. The other possibility, of course, is that he’s just as corrupt as the rest of ’em. And if he was aware of the Enbridge investment when he headed to Standing Rock? I guess there still will be Keith Ellison. I am more of a pessimist than you are, Bob. I don’t believe you can go to Congress for any significant length of time without becoming corrupt. The system they work under, and the people who tell them what to do, make it impossible to do otherwise. If one does not play the game (which is corrupt by it’s very nature) one does last in Congress. The “Mr. Smith’s” exist only in the movies. You may be right, Steve. I just really believed Grijalva was different. I still hope there’s an explanation for this. I did understand the point of the article, Bob. I don’t think you understood the point of my reply. My point was that Enbridge’s participation in the pipeline venture is rather small compared to the major player in the project and the returns to Enbridge, and their stockholders, will also be small in comparison to Energy Transfer Partners, which is the majority owner of the project. And how smug is it try to tie a can to the tail of the Grijalva Family by questioning whether or not they had prior knowledge of this investment? Had the investment been one that was not tacitly associated with a hot controversy right now, the story wouldn’t have been published. Sounds like an attempt at guilt by conjecture to me. It’s rather stunning that you would post your follow-up comment, given the comments by Frances Perkins and Three Sonorans preceding it. You still are missing the point. I like Raul. I want there to be an explanation. To me, if some financial planner had made the investment and he just wasn’t paying attention, I’d be okay with it. But your attempt at an explanation is utterly moronic. It’s the equivalent of a defense attorney proving that his client only stabbed the victim 6 times, rather than 10. Enbridge owns the pipeline that broke in the Kalamazoo River in Michigan and caused millions in environmental damage that is still being cleaned up. They also own a 50 year old pipeline that goes under the water in the Straits of Mackinaw, between Lake Michigan and Lake Huron. You can imagine what a disaster that would be, if it leaked or broke, but they won’t move it. Well, Bob, you’re about 27% correct. 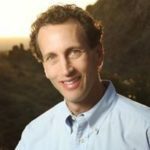 Enbridge Energy Partners and Marathon Oil created a joint venture to buy 49% of 75% of the Bakken Pipeline, which will connect to DAPL. That equals a little under a 27% interest for Enbridge. The Bakken Pipeline connects to DAPL. In effect, Enbridge has no direct interest in DAPL, which is backed by a separate company with separate investors, etc. Enbridge will get a return from the pipeline network, but they are only partners in the entire venture. That’s how projects like this generally work. So the Grijalva family’s investment, while likely not entirely innocent, will not be nearly as profitable as it would be if Enbridge owned the whole project as implied. A simple Google search would have led you to the same information I came across. Such checking of sources might allow you to shoot higher than 27% accuracy in the future. Thanks for the info. You’re correct, I could have done all sorts of research about Enbridge. My concern, however, was not about how much money Enbrridge stood to make. Rather, it was about how aware the Grijalva family was of the investment it made. All the wonderful information you presented, which I gather you consider exculpatory, actually would not cause me to change one word of the post. The last paragraph of your comment reeks of smugness. Considering you missed entirely the point of my post, I’m not sure that was warranted. The irony is that if Larry Salkin is claiming 27% is such a low investment, then what does that say of Raul’s daughter Adelita along with Kristel and Cam who only spent a mere 26% of Prop 123 money on teacher salaries?